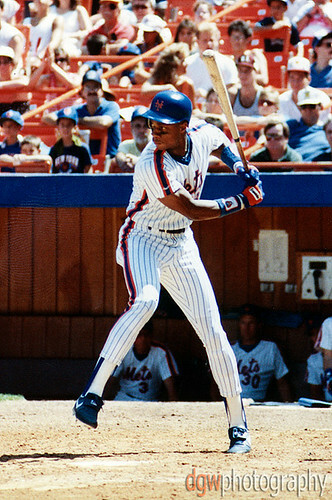 I still remember the first time I heard Darryl Strawberry's name. It was June of 1981, while I was in Mr.Griffin's Creative Writing class at Milford High School. Yes, I was Met fan, but I had been a disillusioned fan ever since M. Donald Grant traded Tom Seaver to the Reds on June 15, 1977. To say that I, being 14 at the time of the trade, was devastated would be an understatement. Because of Darryl, I started to follow the Mets minor league system. What a treat - as any Mets fan knows, the early 80's was the time to follow the Mets minor league system. 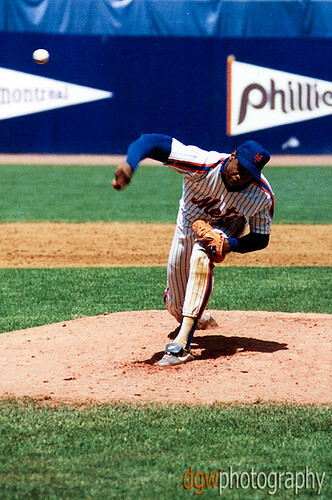 Not only was there Darryl, but there was Lenny, and Wally, Ron Darling came over in 1982, and then there was Doc. When Doc pitched, it was a happening. There was a buzz in the crowd that fans who didn't experience couldn't begin to understand. It was electric. Doc & Darryl. Yeah, they could have been so much more, but what we got was pretty damned good, too. You're a sweetheart. And were taking great pix way back when.